I love clam chowder, always have. When I was younger Granny Mack would make both Manhattan style clam chowder and New England style. While I really loved the taste of the cream and the butter in the New England style, I much preferred the ‘broth-y’ consistency of the Manhattan style. As an adult I would often make my own version of New England style clam chowder (I would leave it as a thin broth.) YUM! 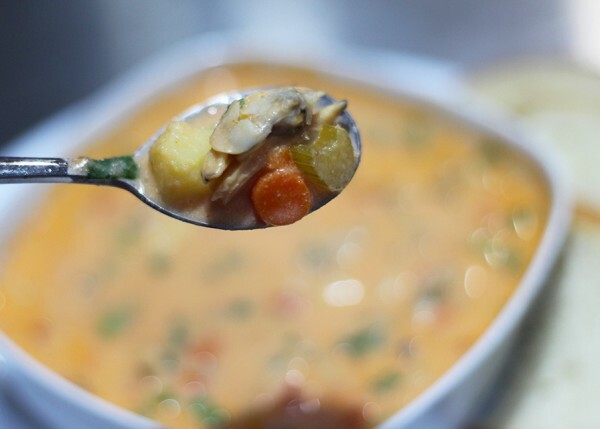 One of my favorite ways to entertain large groups of friends is to set up a “soup bar.” The soups I make always change – except for the clam chowder! I always have a big pot of clam chowder and it is generally the first pot emptied! It wasn’t until I ordered a fish stew from a local Mexican restaurant that it dawned on me that I could have the best of both worlds! This fish stew had a light creamy broth, but the chef mixed in Veracruz Sauce with it. The final stew ended up being rich and creamy, but the broth was still really light and bright. 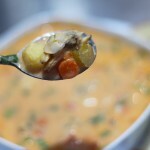 My Blushing Clam Chowder/Soup is the best of all things that make a great bowl of soup: it is full of vegetables, the broth is creamy but not so thick that it can no longer be classified as a “broth,” the clams are fat and sweet, and best of all it is a fast Tuesday night kind of soup to make! 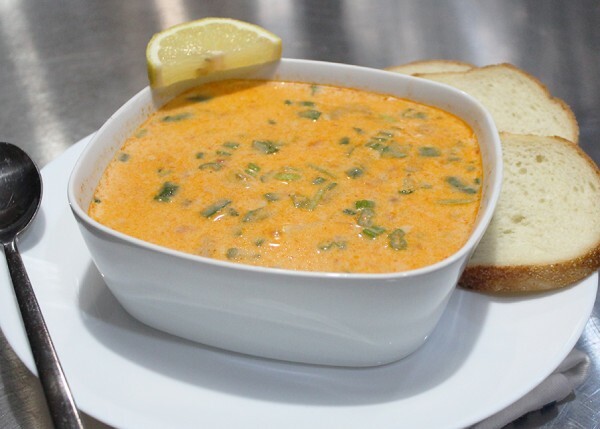 Keep Calm and Eat SOUP! 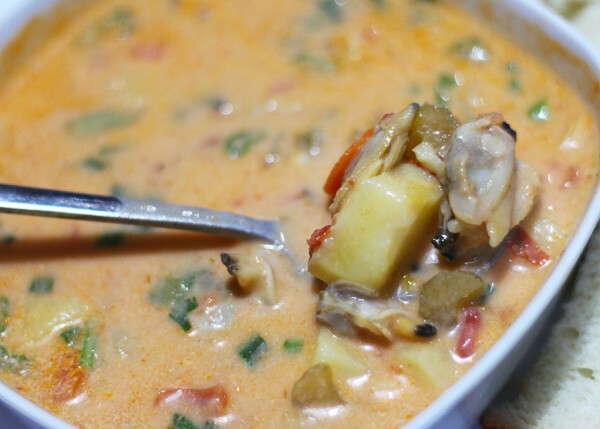 A thin broth that is both rich and creamy with tons of tender sweet clams and fresh vegetables. 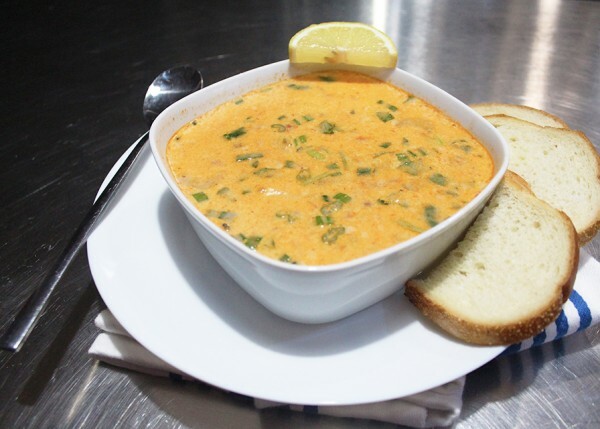 This chowder/soup/stew is a little bit of a mash-up of both New England Style and Manhattan style. It is AMAZING. 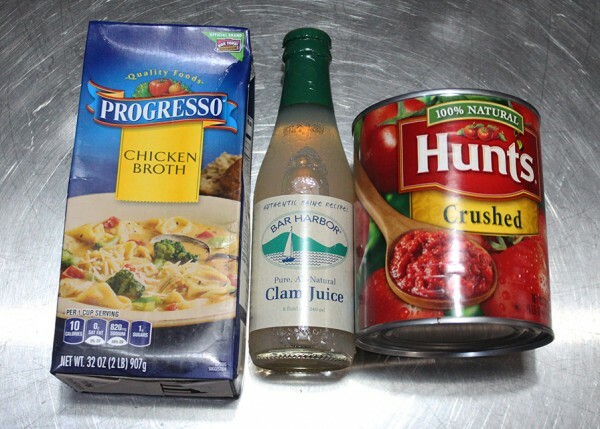 8 fluid ounces clam juice you can buy this in a small 8 fluid ounce jar at any grocery store. salt **if needed. 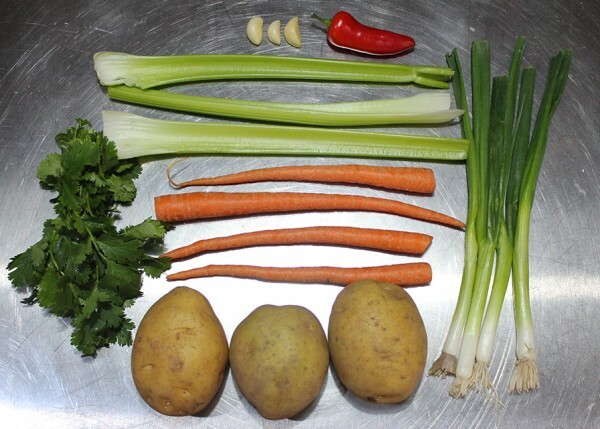 Taste the finished soup before you add the salt. 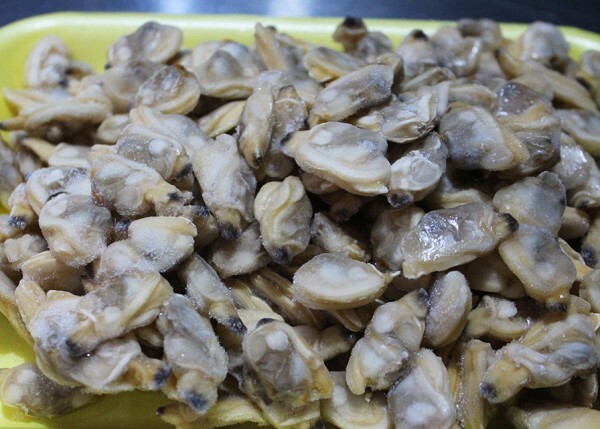 1½ to 2 pounds (cooked) frozen clams Best place to buy these are an Asian grocery store in the frozen seafood section. Try to use crushed tomatoes. I have tried this recipe with both tomato paste and tomato sauce and it just didn't quite work. I use a lactose-free half and half so that my whole family can enjoy this! You can use traditional half and half or even heavy cream. 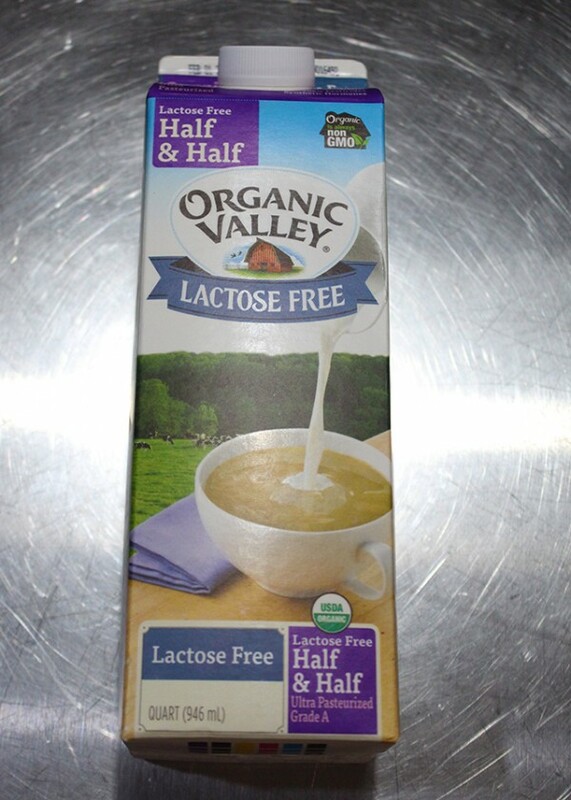 ** You can buy the lactose-free half and half from Sprouts grocery store. Dice your veggies! This is the hardest part of this whole recipe! ...and yet so easy! 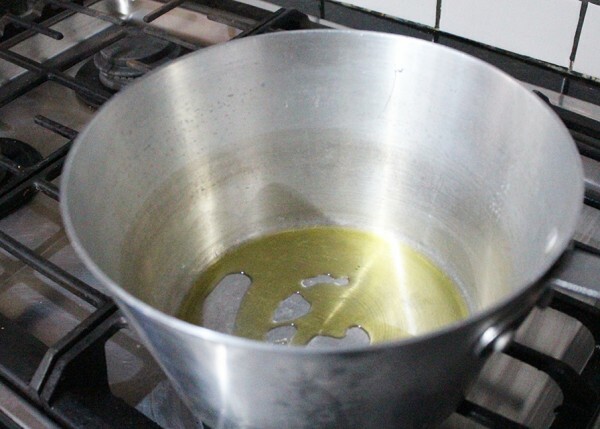 In a deep sauce pan heat 1 to 2 tbsps of olive oil. 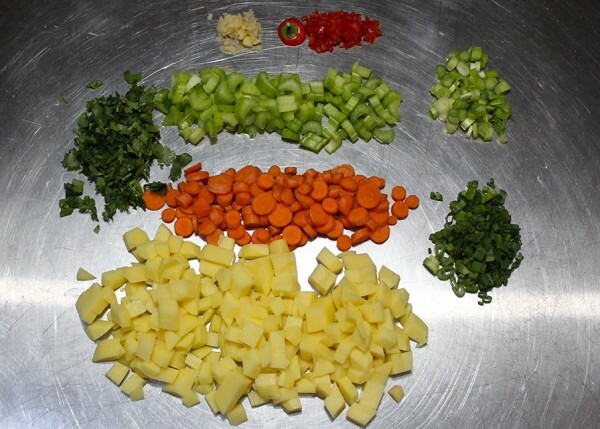 Add all veggies and sauté for 5 minutes. Add chicken broth, clam broth and crushed tomatoes. Simmer until veggies are soft, about 20 minutes. 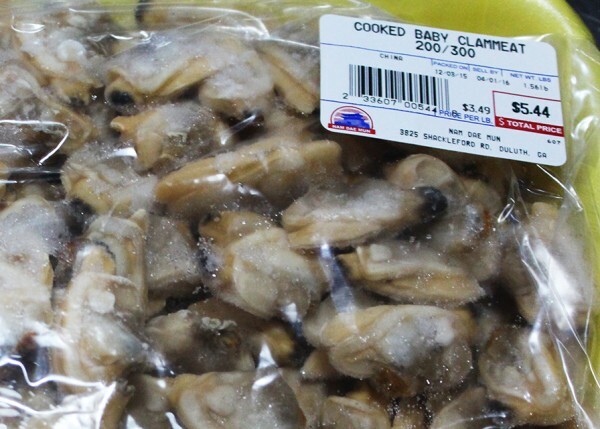 I buy fully cooked baby clams from my local Asian market. They just need to be warmed through - if yours are fully cooked only add at the end so they stay sweet and tender. Turn off heat and add the half and half. Leftovers can be stored in the refrigerator and rewarmed.